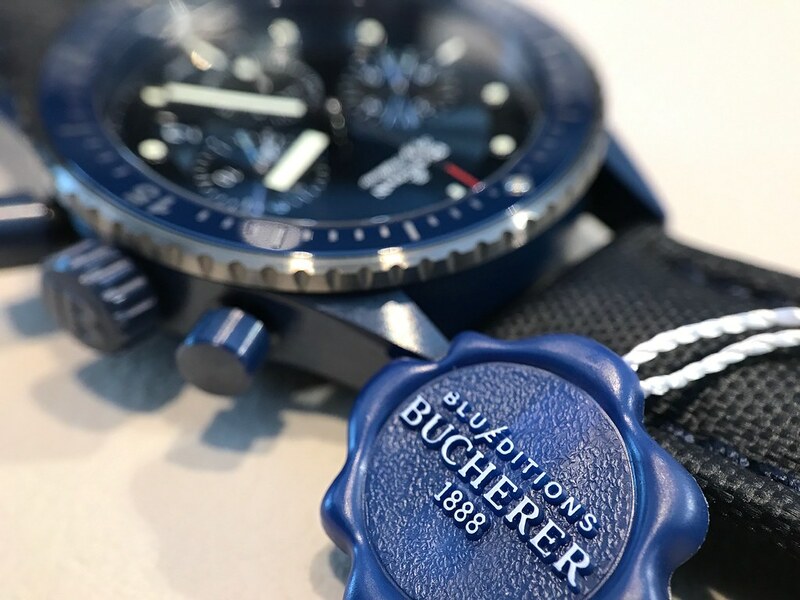 Yesterday the well known retailer Bucherer released a new timepiece belonging to their Blue Editions collection, which already features watches by Vacheron Constantin, IWC, Piaget, Audemars Piguet, Tudor and others. 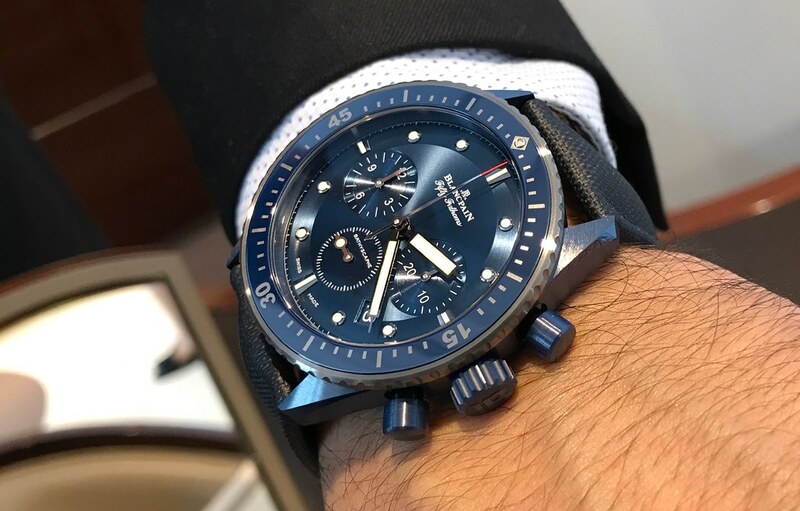 This time it is a collaboration between Bucherer and Blancpain and the timepiece is called Blancpain Bathyscaphe Chronographe Ceramic Bucherer Blue Edition. 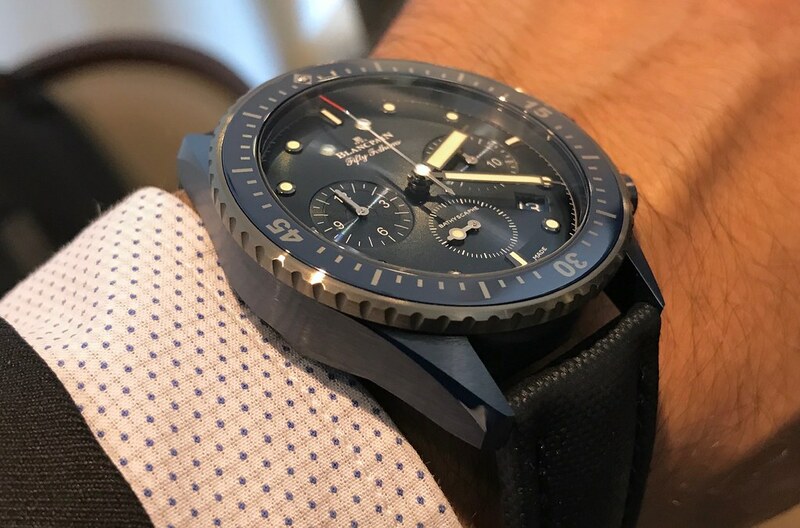 Now, this watch is reminding us very strongly of the two first Ocean Commitment Bathyscaphe models, one with grey ceramic case and blue dial, the other with blue ceramic case and grey dial. 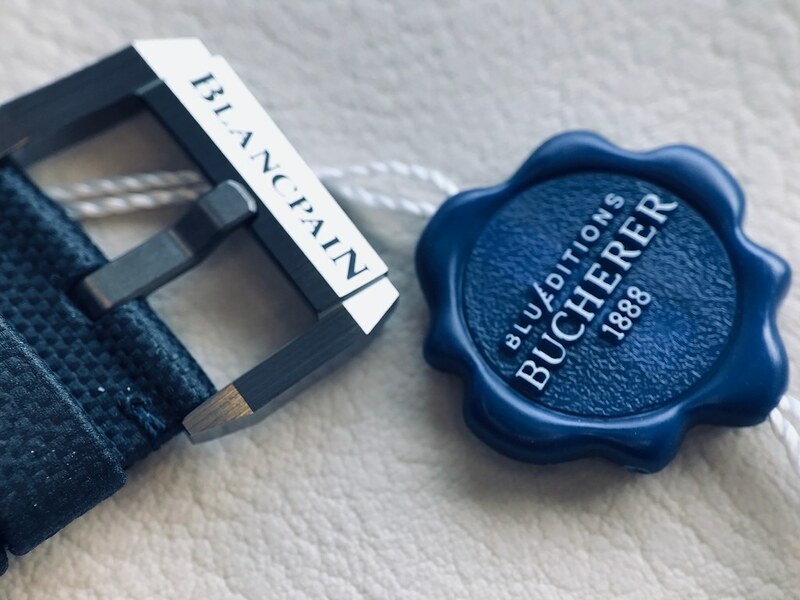 Does the Bucherer Blue Edition compromise Blancpain's Ocean Commitment series? 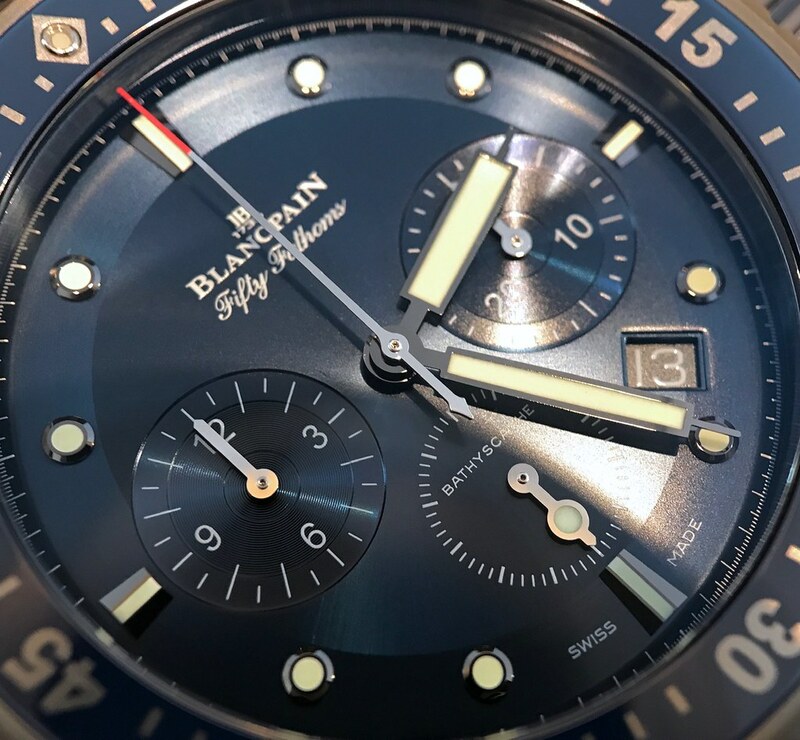 And did Blancpain take it easy by just blending two previous watches into a new one? 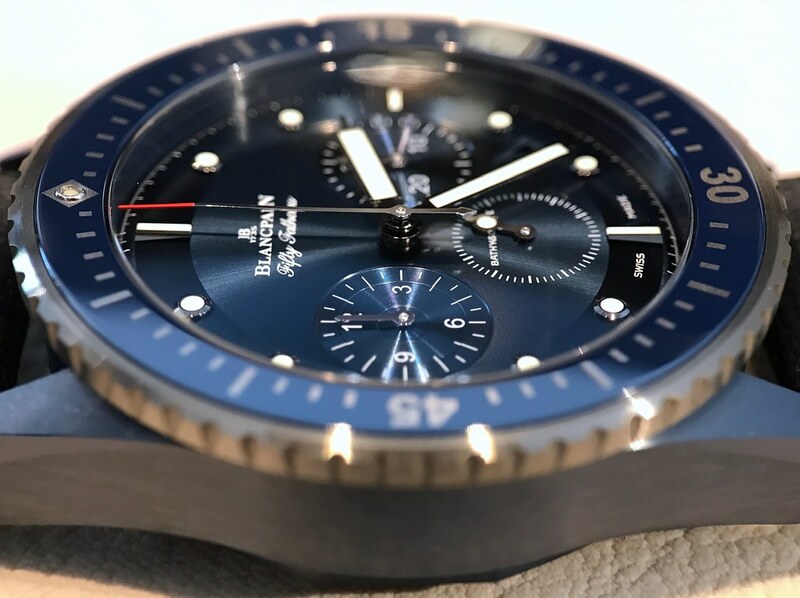 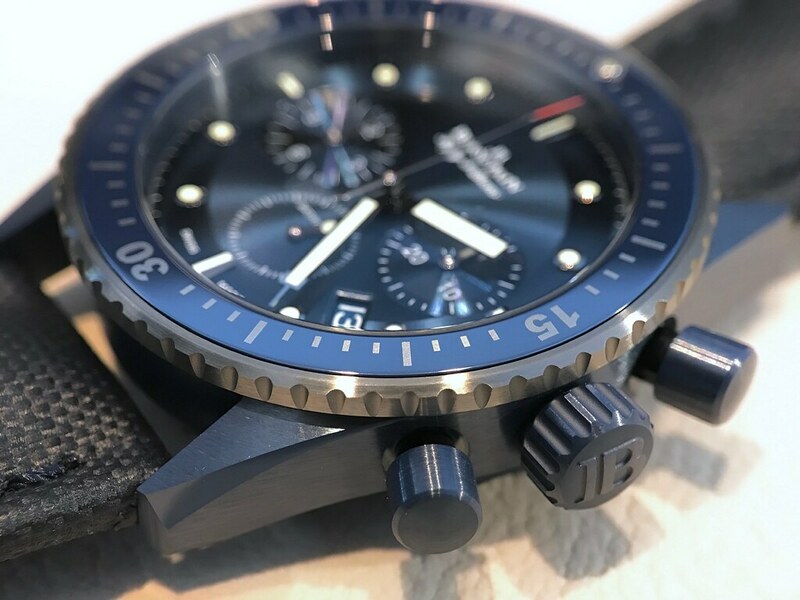 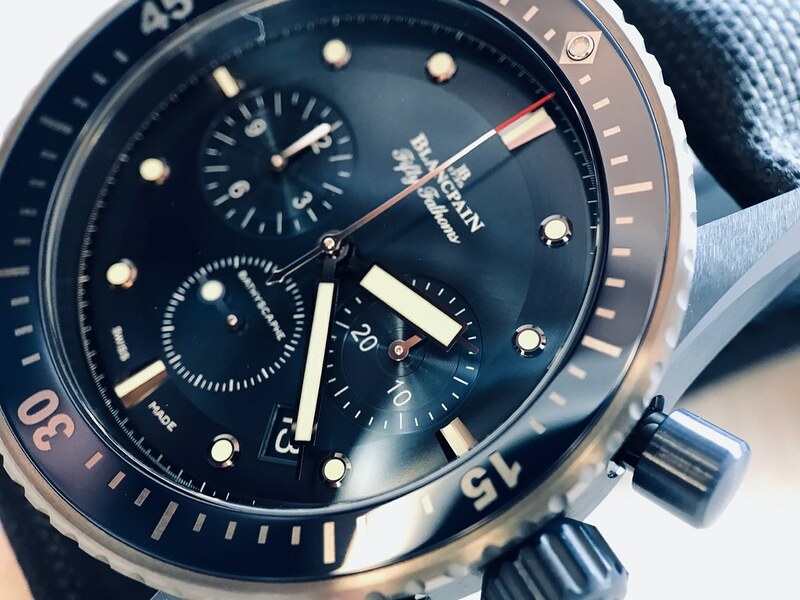 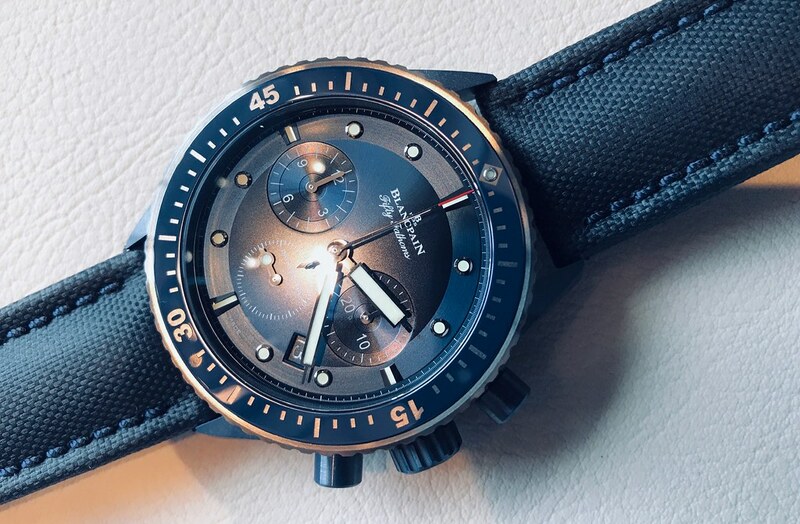 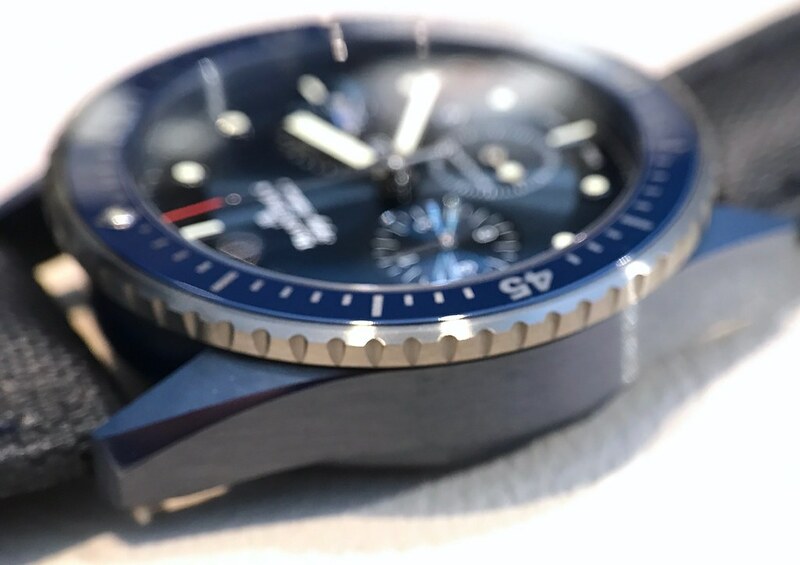 Well, after having seen the new watch I answer both questions with a „no": with this year's edition of the Ocean Commitment Blancpain already left the Bathyscaphe Chronographe as a basis for the series. 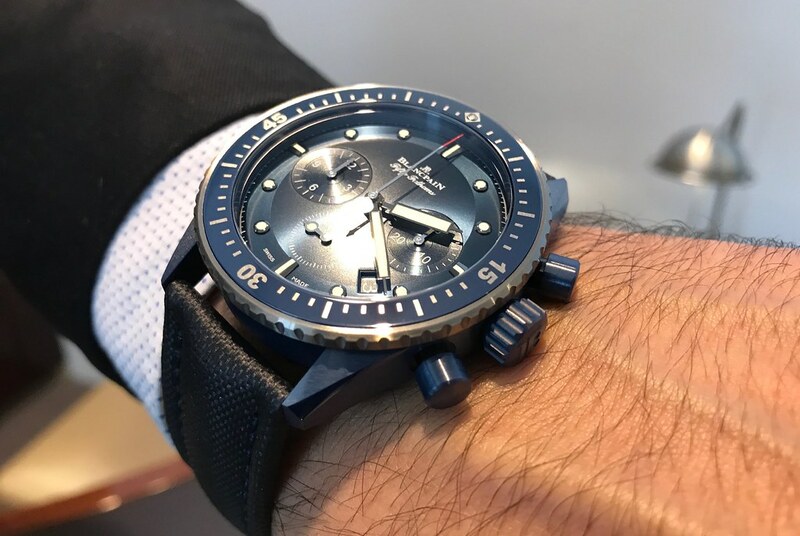 Also the OC timepieces are limited to 250 pieces each, including a 1000€ donation to the Ocean Commitment fund with each timepiece. 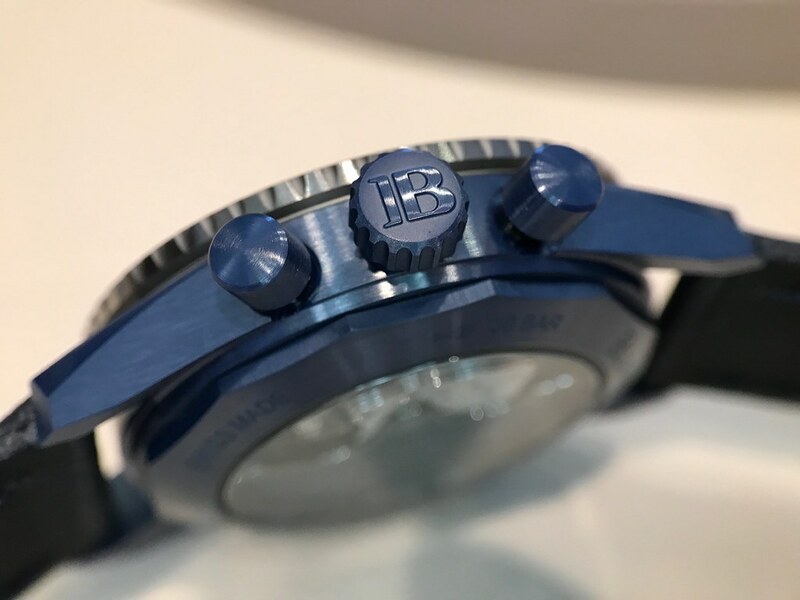 The Bucherer Blue Edition is not limited to a certain number of timepieces. 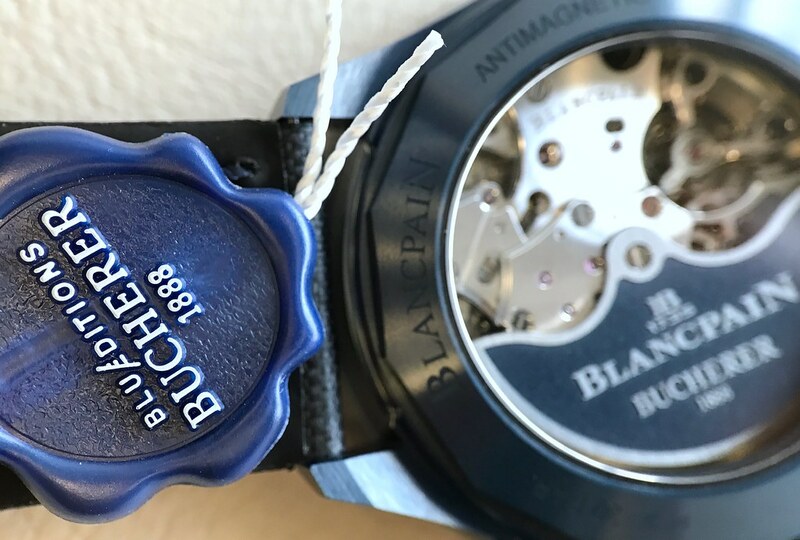 Obviously a blue case combined with a blue dial meets the key idea of the Bucherer Blue Editions... and probably not everyone's taste. 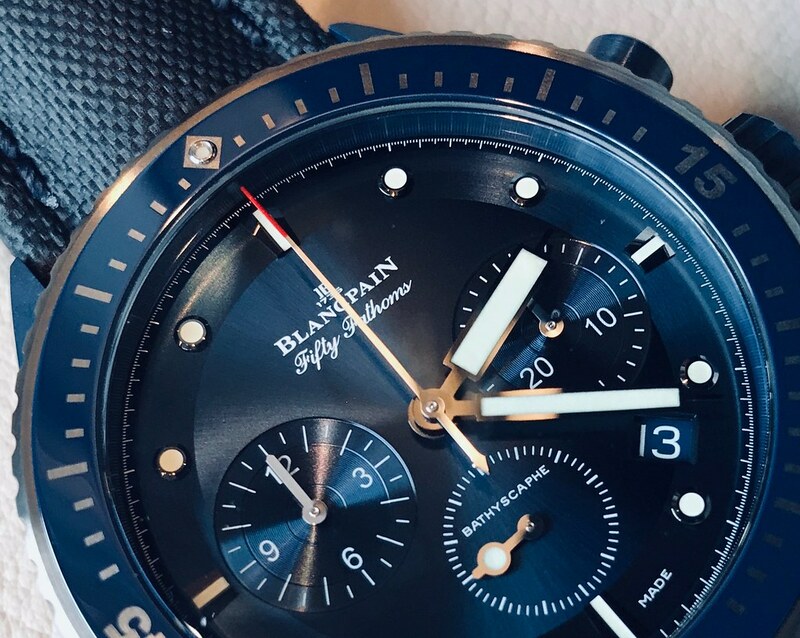 Whether an almost all blue timepiece appeals to you or not, the execution and quality is as always flawless. 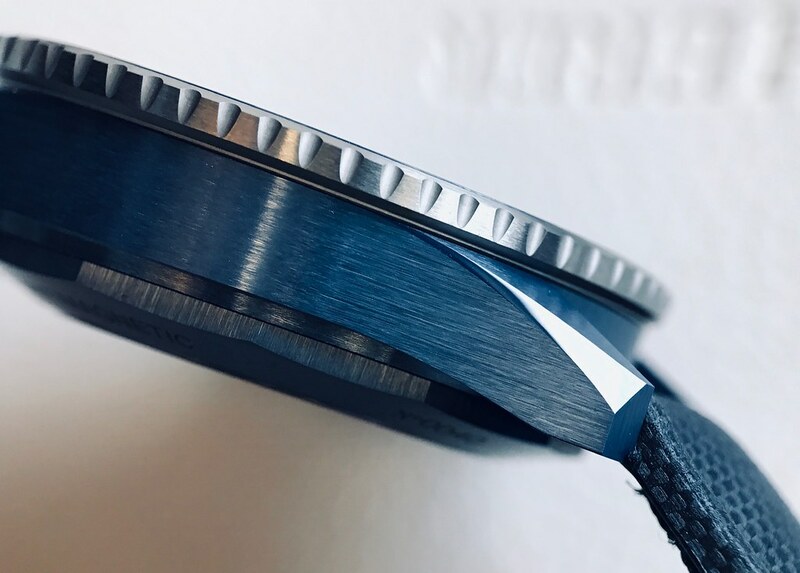 Creating more contrast, the outer rim of the also blue ceramic bezel with Liquidmetal inlays is done in grey ceramic, as is the tang buckle that comes with the blue sailcloth strap. 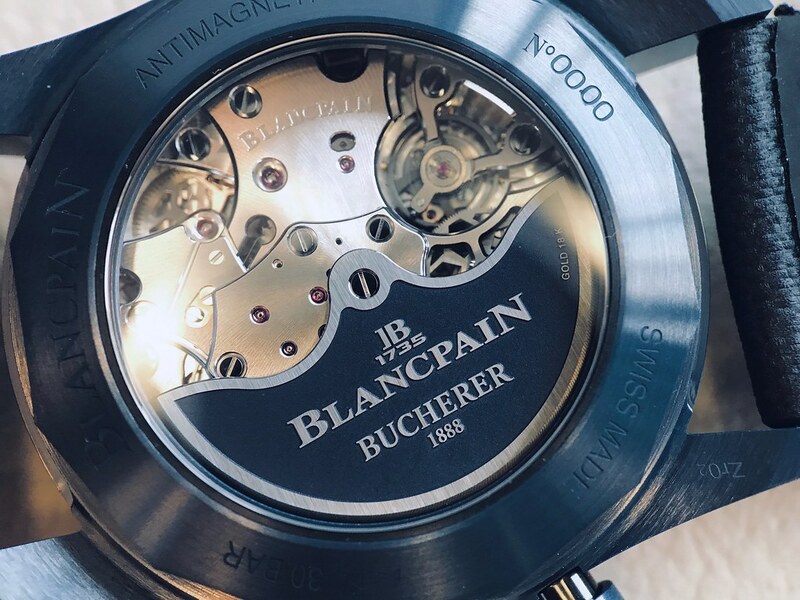 I'll close the report with two last shots of this very interesting and beautifully executed timepiece. 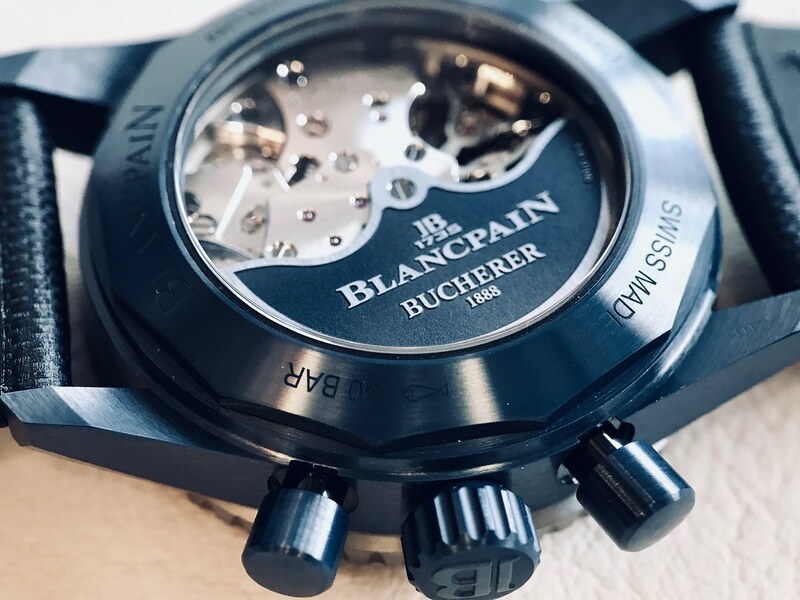 The watch is exclusively sold through Bucherer and their affiliates worldwide, it is also available online through the Bucherer website. 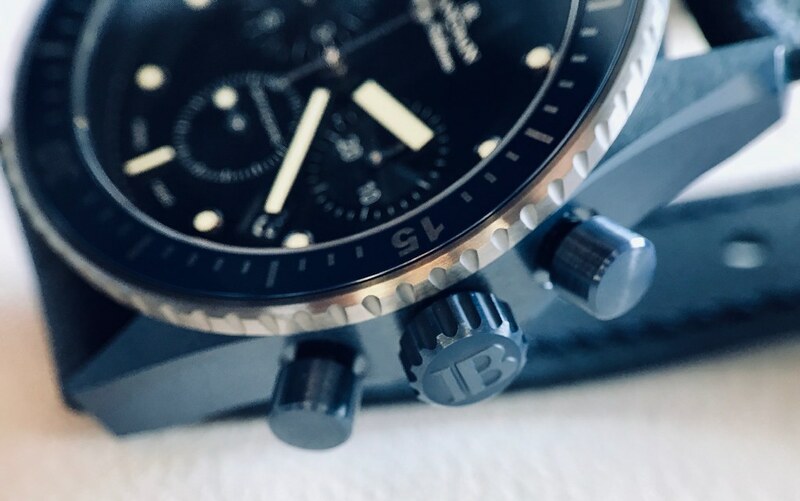 I hope you enjoyed the introduction and the photos! 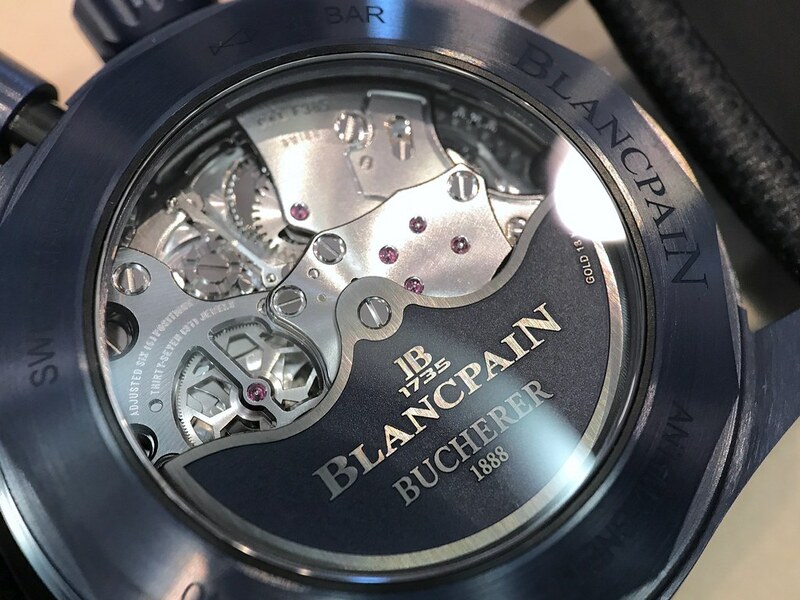 A heartfelt Thank You goes to Bucherer Hamburg and Blancpain Germany for having granted me the opportunity to encounter this brand new watch so quickly! 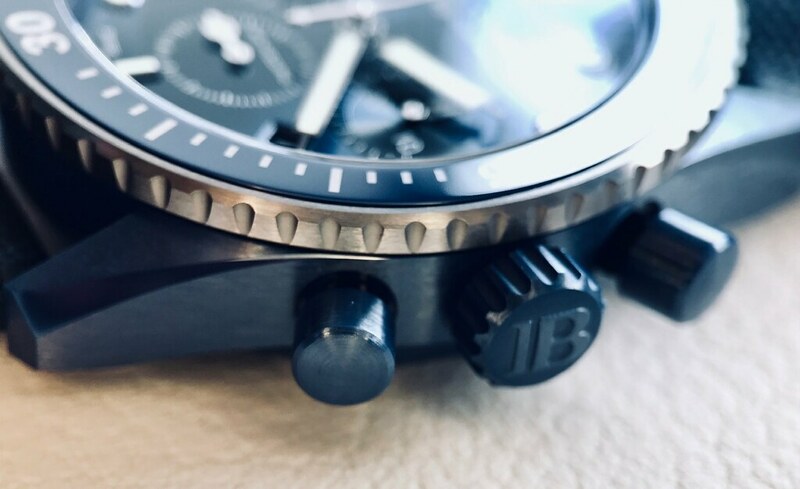 Even that tang buckle is a masterpiece! 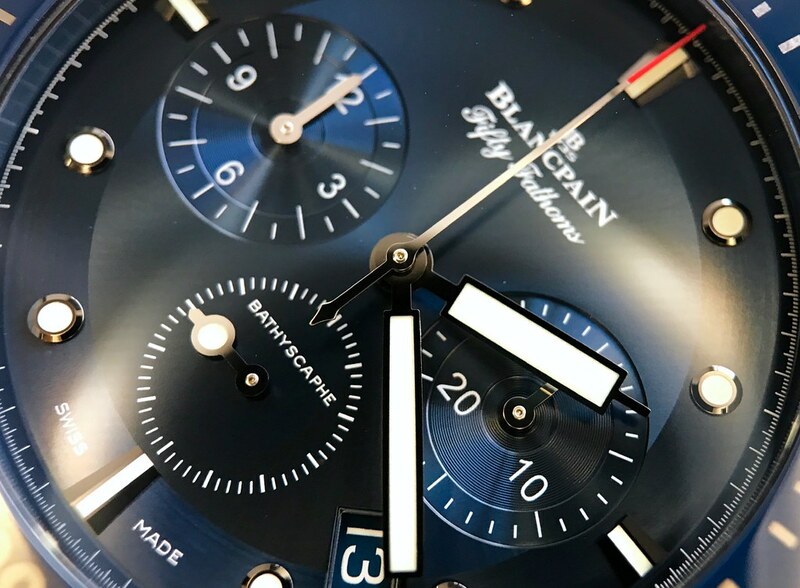 Thank you for your wonderful photos. 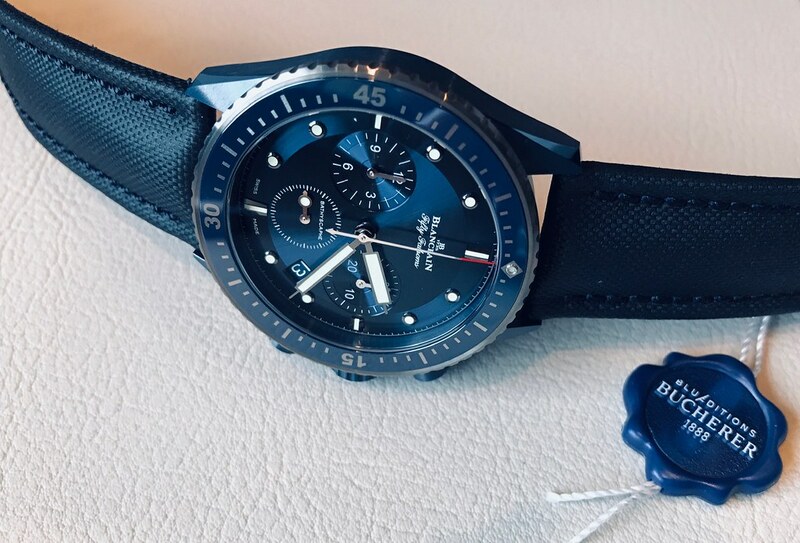 Great looking watch, congrats ! 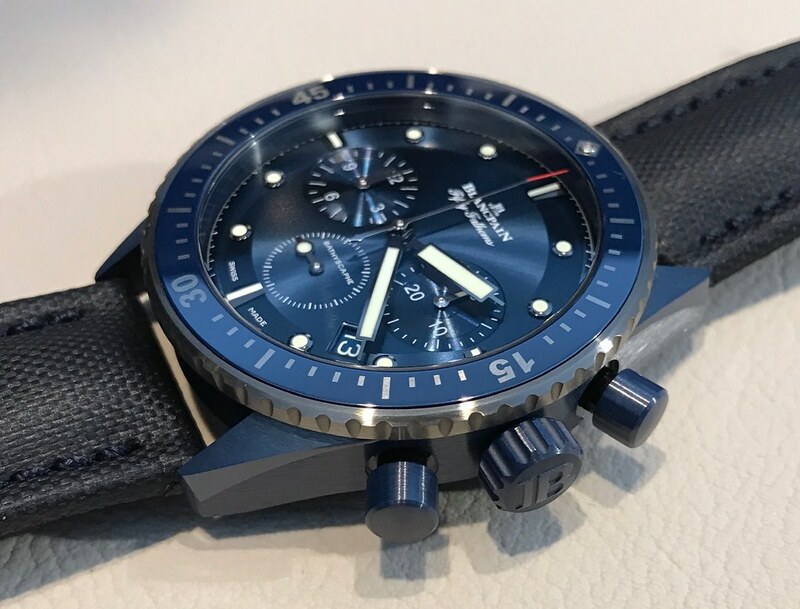 Nice but too blueish. 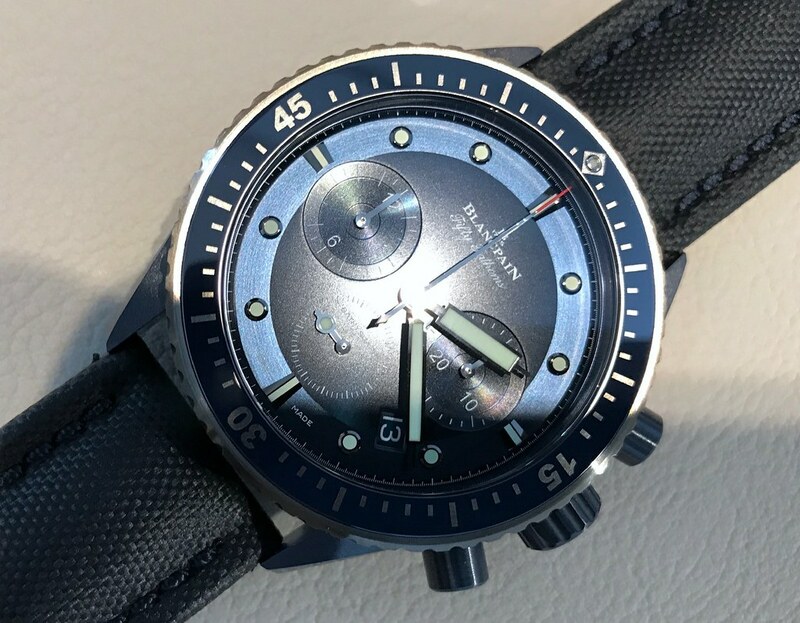 I think it's a mix between dial and bezel from FF OC 1 and case from FF OC 2. 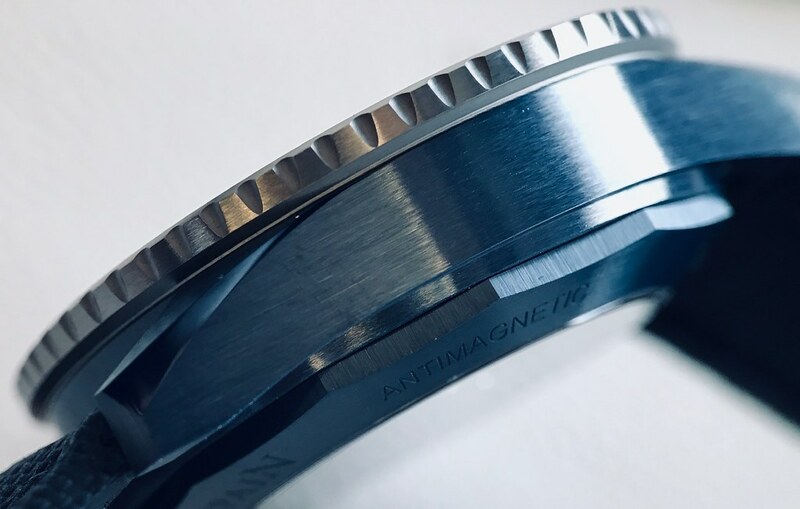 Next Topic: Just for fun: who is the designer?